An investigation was underway into a shooting in Escondido that left a man wounded and several parked vehicles riddled with bullet holes. Photo via OnScene.TV. An investigation was underway Wednesday into a shooting in Escondido that left a man wounded and several parked vehicles riddled with bullet holes. 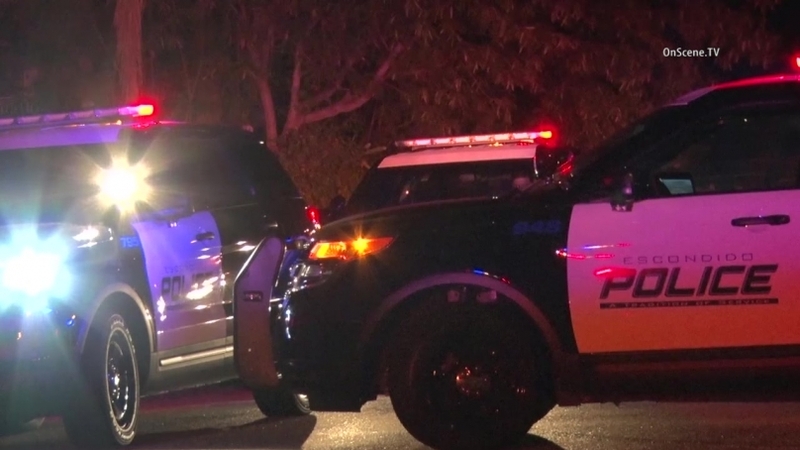 Officers sent to West Seventh Avenue and South Quince Street shortly before 11 p.m. Tuesday found a man suffering from gunshot wounds to his upper body and arm, Escondido Police Lt. Ed Varso said. The victim was taken to a hospital to be treated for non-life- threatening injuries. The suspect or suspects fled in a dark SUV before officers arrived, according to the lieutenant. Varso said the shooting appeared to be gang-related and at least 20 shell casings were found in the area. Three cars parked near the scene were damaged by the gunfire.